Spain should meet its obligations to the European Union on the timing of budget deficit reduction, refraining from giving conflicting promises, the coordinator of the Foreign Affairs Committee of the Citizens Party told Sputnik. MADRID (Sputnik) – The European Union budgetary rules stipulate that the national budget deficits should remain under 3 percent of GDP. 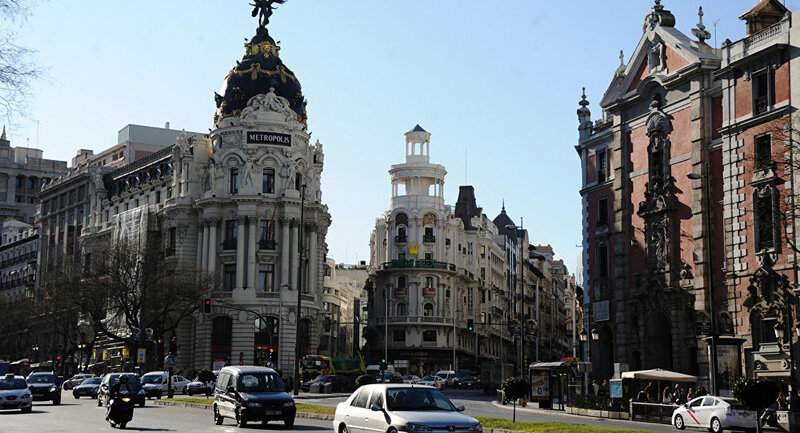 Spain is expected to reduce its deficit from 5.1 percent in 2015 to 2.5 percent in 2017. "It is necessary to fulfill the promises to the European Union and not to give conflicting signals — promises of [deficit] correction at the same time as tax cuts," Francisco Andres Perez said in an interview. The politician also called on the government to conduct a policy of fiscal stability without having to lay additional burden on the middle class. "It is necessary to refocus our economic model to make it more attractive to investment, innovation and high-tech sectors. With the current model, it is not possible to conduct a long-term social policy," Perez said. Spain is set to hold early elections on June 26. The latest polls suggest that the liberal Citizens party is set to come fourth with 38-39 seats, while the Spanish conservative People's Party (PP) may win the general elections. The left-wing Podemos and social-democrats from the Spanish Socialist Workers' Party (PSOE) are expected to secure the second and the third places, respectively. How Did Ireland, Spain and Portugal Emerge From Their Economic Crises?